Launched in February 2013 the Diorshow Iconic Overcurl Mascara is bringing you the latest chapter in the Diorshow Mascara adventure. Inspired by the big screen eyes of movie stars icons, your eyes will look simply Iconic. The brush is flexible and has a slight curl to fit the nature overture of your lashes. With bristles that are perfect for coating all your lashes, even the little ones, and a consistency that is not too thick but not too gloopy this mascara is just right. 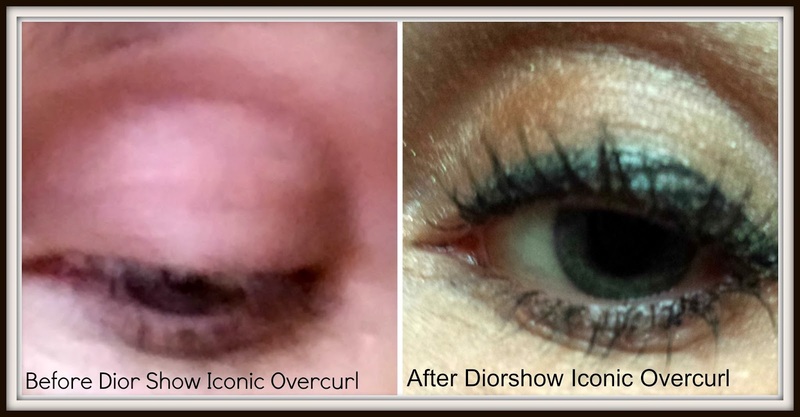 Diorshow Iconic Overcurl adds a nice amount of volume to the lashes and even a slight curl to my curl-resistant lashes. The mascara is buildable, although if you want to layer it on you will need a lash comb as the lashes tend to stick together. The mascara is pretty easy to remove with a formula that doesn’t leave any resisude on the lashes. I really like this mascara and its volumising properties. It’s also available in Over Brown or Over Blue. "Girly Goddess Nail Art Tutorial"
"Bourjois Healthy Mix Foundation review"